Before Taj Sweets & Restaurants came to be, it was the original location of Tasty Restaurant. Yes, that is the ultra-swank and popular Tasty Bistro now located on Scott Road. 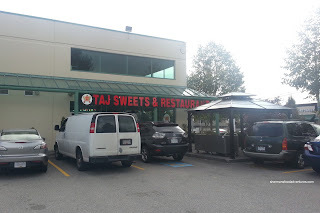 Now I've been to Tasty a few times already, yet I was still curious what their old location was up to. Hence, Dav and I hit up the place for lunch. On that note, I really should get back onto the Indian food train because there are so many still that I haven't tried (hence no recommendations yet!). 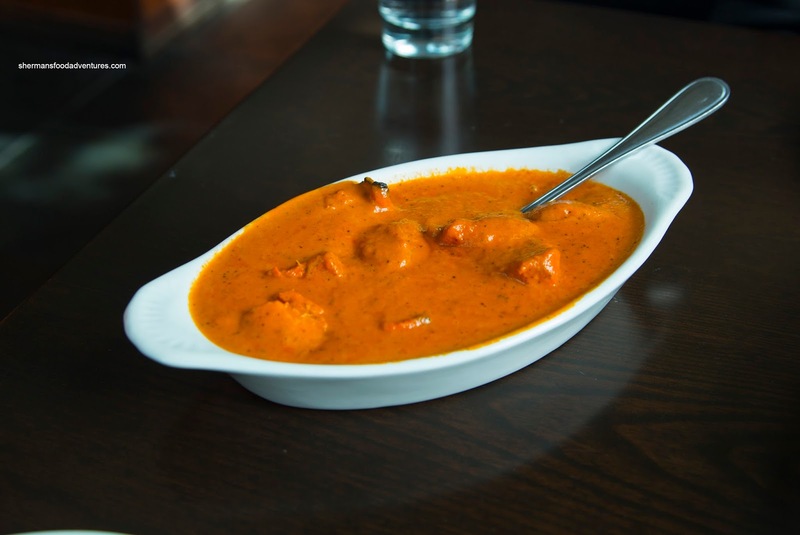 Of course we started things off with the classic Butter Chicken with real pieces of tandoori chicken. As such, it featured a firmer exterior and some charring. It was on the drier side, but completely expected. The sauce itself was of a creamy consistency that was just the right thickness. I found it pretty sweet with only a minor tomato taste. Ultimately, it was pretty good. Next, the Masala Fish Curry was on point. 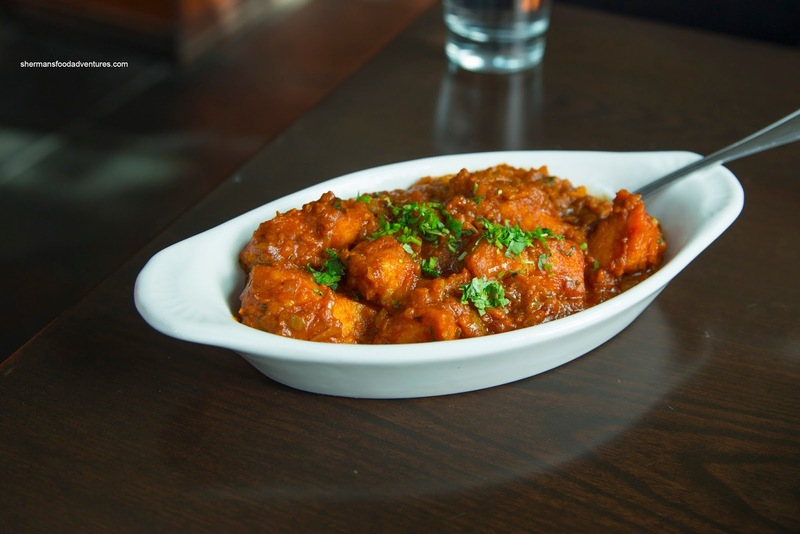 It exhibited several layers of flavour including an initial sweetness from the onions and of course cumin, coriander and cloves. There was a notable spiciness that wasn't overwhelming. The pieces of fish were expertly prepared being flaky and moist. Another on point dish was the Goat Curry that featured tender chunks of meat. 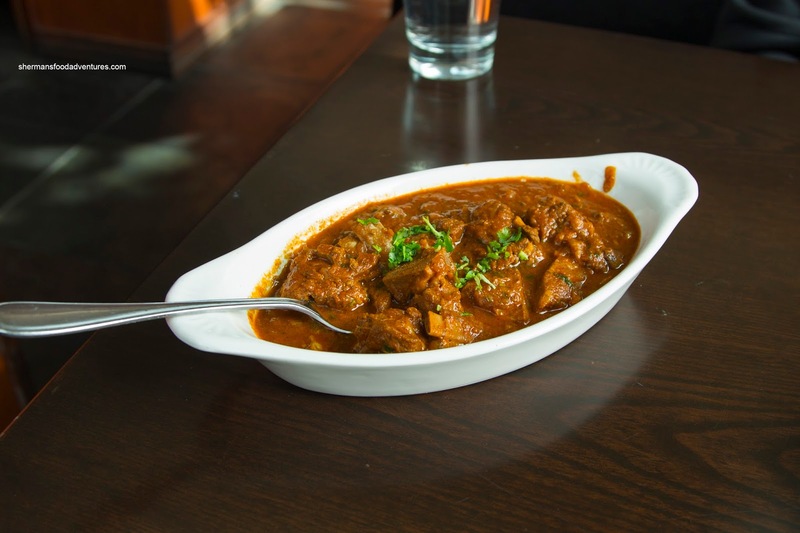 As much as a goat curry can sport plenty of bones, this one was more meat than bone. There was a certain richness and depth to the curry. Lastly, the Lamb Rogan Josh was by far the weakest dish. 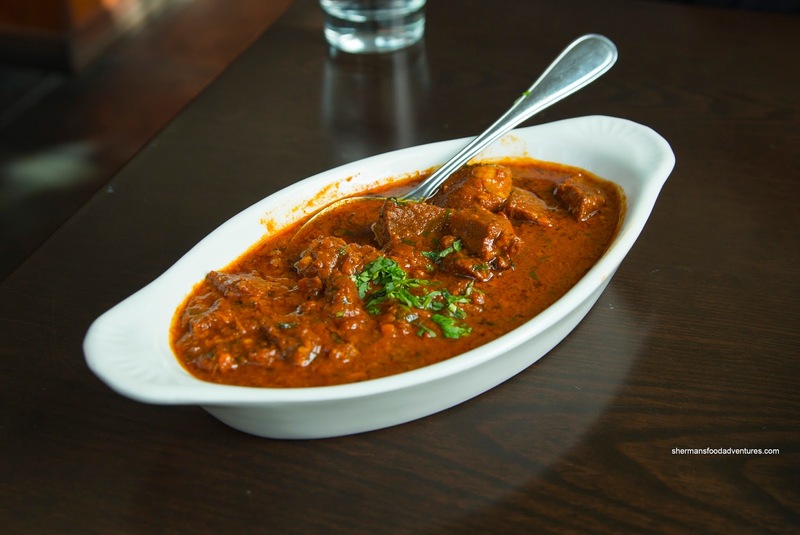 The chunks of lamb were practically inedible since the texture resembled mutton that hadn't been cooked long enough. It was so tough and chewy, we had to give up eating the dish altogether. The sauce was okay though with a nice red hue exhibiting rich clove and cumin flavours. On the side, we got some Garlic Naan. This was very well executed with a well-charred underside that was lightly crisp. 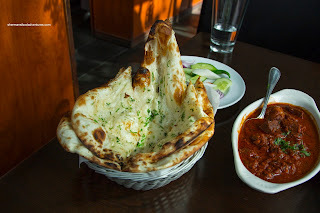 Inside, the naan was fluffy and appealingly chewy where the dough had cooked all-the-way through. Of course the best part was the ample amount of minced garlic. This, along with 3 out of the 4 dishes were pretty much spot on. It was really too bad about the lamb. Otherwise, Taj deserves another look sometime.